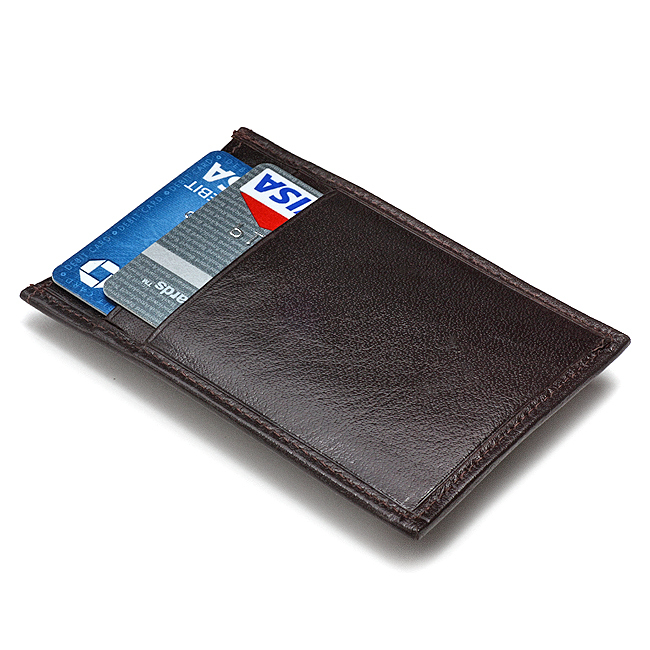 There's no need to carry a bulky wallet anymore! Streamline your essentials with the Executive Credit Card Wallet and Money Clip! This wallet is available in Brown or Red leather, designed with 3 credit card slots, and has a single center slot for business cards or driver's license. 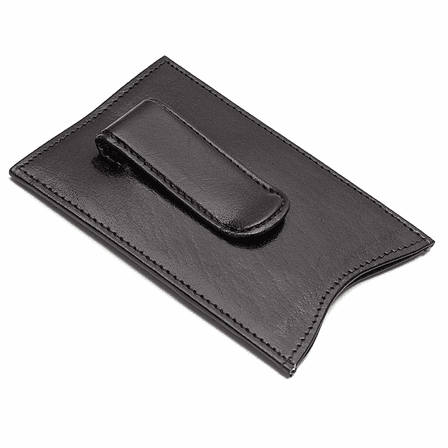 A spring-tension money clip secures up to 20 folded bills, and the wallet folds flat to fit compactly in your pocket! 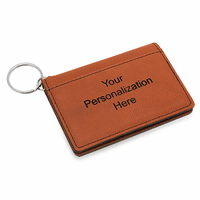 Add free custom personalization to add an extra special touch to your gift! 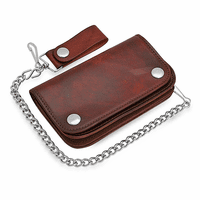 Dimensions: 4" x 2 3/4" x 1/4"
I noticed when I hit the review button for the personalizing, there is a button on the side with the money clip, however the product picture does not show a button. Is there a button? We're so sorry for the confusion, there is no button. 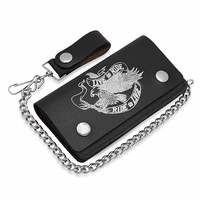 We have posted a new picture that shows the backside of this money clip wallet. How many bills will this item hod and is it made here? 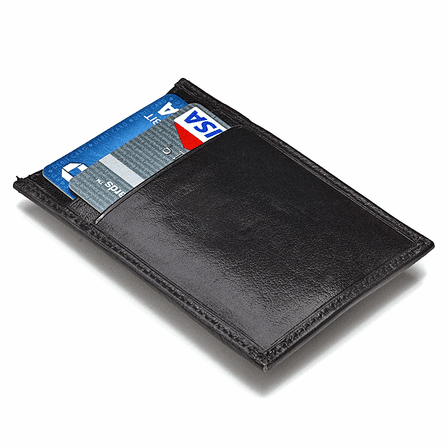 This wallet money clip will hold 10 to 12 folded bills. It is made in China. How many letters on this product can be used for personalization? We normally recommend no more than 3 letters. That's correct, the money clip on this wallet is not magnetic. Very easy website to search and shipped quickly. My husband likes the clip but he wishes it had a few more slots. 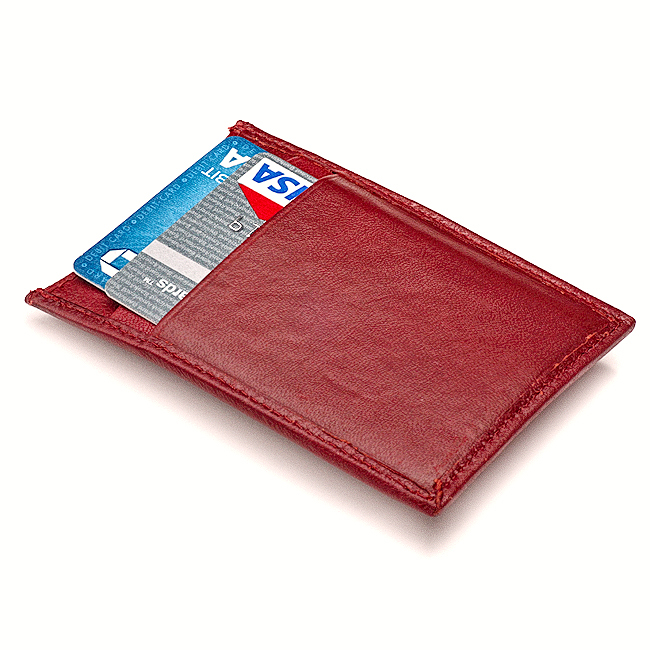 I am very satisfied with the personalized money clip / credit card holder. I was surprised how quickly it arrived in the mail. ProsPerfect size to fit in my front pocket. 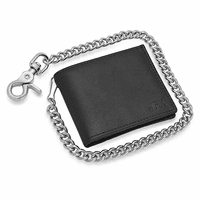 Holds money securely and easy to use. I like having three compartments for credit cards. Product is poor quality and I wish to return for refund. So far have not received information on how to proceed. Merchant Response:We're so sorry about this, we usually get very good feedback on this wallet. We did reply to your return request, we'll resend the reply now. I purchased this item for my husband as he as been looking for one similar to this for some time. The first time I attempted to put just a piece of paper in the money clip, it flopped open and will not clip closed at all now. Obviously, it was broken when it was mailed, perhaps when the personalization was done. Merchant Response:We are so sorry this was sent broken and we are sending a replacement. This is the first time we've ever had this issue with this wallet. I purchased this several years ago for my husband and personalized it. He loved it! It was perfect for his needs, to hold his credit cards, ID, and a bit of cash. He wanted something small so it is not bulky in his pocket. He is still using it.